SEATTLE – The Puget Sound region’s work and play opportunities are on the rise thanks to the area’s booming economy and growing air service connections. Overall passenger volume at Seattle-Tacoma International Airport reached 49.8 million people in 2018. In the last five years, ten new airlines added service to Sea-Tac Airport. Today, airlines offer 91 nonstop domestic and 29 nonstop international destinations, an increase of seven international destinations. Based on preliminary traffic reports, Sea-Tac moved up one spot to become the 8th busiest U.S. airport in 2018 for passenger volume. The Puget Sound’s global prominence as an economic and innovation powerhouse explains some of the growth in international travel. Aviation technology tells the rest of the story. The new generation of aircraft coming online provide efficiencies that make farther flung destinations more economical. These new longer routes include upcoming services for 2019 such at Japan Airlines Boeing 787 service to Tokyo-Narita, plus A350 service by Cathay Pacific to Hong Kong and Singapore Airlines to Changi Airport. Local businesses and tourist destinations are making use of the access to global audiences. 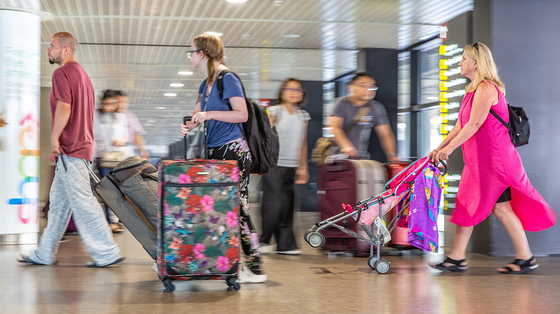 Sea-Tac Airport served 49,849,520 passengers in 2018, a 6.2 percent increase over 2017’s 46,934,619 passengers. International passenger traffic was up 5.8 percent in 2018 with 5,427,551 passengers. 432,315 metric tons of cargo (freight and mail) passed through Sea-Tac in 2018, a 1.5 percent increase over 2017. This levels off after increases in the previous two years of 16 and 10 percent. 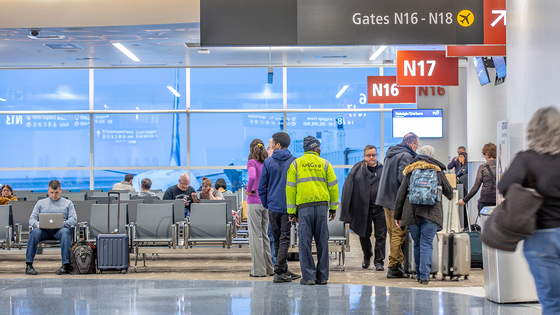 In just the last five years, ten more airlines are serving Sea-Tac adding 15 new nonstop, including seven new international nonstops, bringing the total to 29. For more details, visit our Statistics page online. Sea-Tac Airport is investing in its facilities and passenger experience to change to the better. Between 2017 and 2022, the Port is investing $3.2B in critical projects such as the Central Terminal Renovation, North Satellite Modernization and International Arrivals Facility. Starting this year and through 2021, we will add or upgrade 1.2M square feet at the airport, which creates more elbow room, improves safety and meets the region’s needs. Passengers can look forward to something new every 90 days in 2019 at Sea-Tac Airport, and can follow the progress and details of Airport Projects online. Updating the current runway use plan agreement with FAA to clarify a minimized use of the third runway during the late-night hours. Designing a new program to incentivize air carriers to fly outside of noise-sensitive hours or to transition to quieter aircraft. Analyzing runway glide slope with an end goal of raising the glide slope on the longest runway to provide a small noise reduction for communities south of the airport. Assessing airfield noise to investigate and determine sources of airfield noise troublesome to the community. Sea-Tac Airport is one of the largest job-sites in King County. 87,300 jobs, including 19,100 at the airport and 68,200 jobs supported by visitor spending. More than 250 different employers operate at the airport. The majority of airport-supported jobs are in King County, with 40 percent of airport workers coming from South King County. Overall, the 2018 report estimates 151,400 total jobs are supported by the airport, either directly or through multiplier effects. A consultant analysis found that each new international route brings an additional $74 million per year to the local economy. Research also indicates international visitors spend more and stay longer. Operated by the Port of Seattle, Seattle-Tacoma International Airport (SEA, KSEA) is ranked as the 9th busiest U.S. airport, serving 49.8 million passengers and more than 432,315 metric tons of air cargo in 2018. With a regional economic impact of more than $22.5 billion in business revenue, Sea-Tac generates more than 151,400 jobs (87,300 direct jobs), representing over $3.6 billion in direct earnings and more than $442 million in state and local taxes. Thirty-two airlines serve 91 non-stop domestic and 29 international destinations.